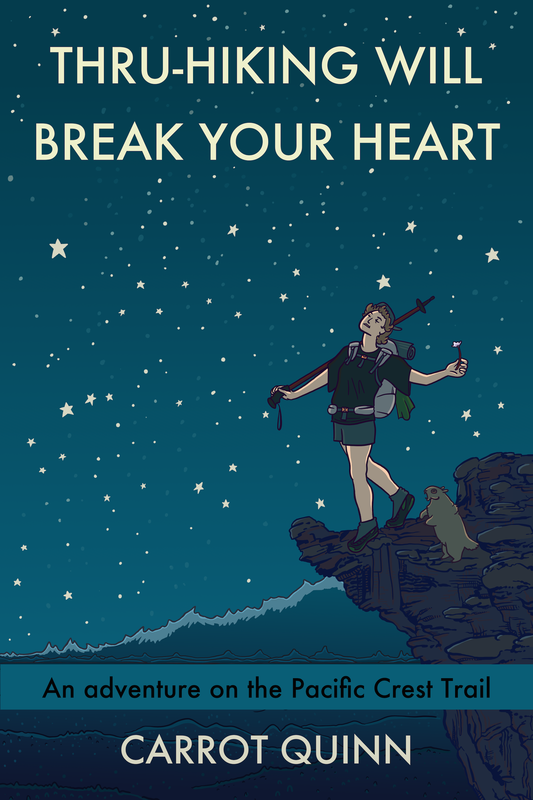 I wrote a book about my first thru-hike of the Pacific Crest Trail, in 2013. The book is available on amazon here. Here is an app, made by Amazon, that will allow you to read the book on any screen. The cover was designed by Alejandra Wilson, who writes an awesome comic here. You can buy a print of the cover art here. Here are my original blog posts from 2013- I’ve removed most of the content but the photos and daily mileages are still there for your enrichment. The book will be available in paperback winter 2015/16. If you find a typo, please email me: carrotquinn4@gmail.com.